Mobile payments is rapidly becoming a dynamic market in Japan as the government pushes to increase cashless payments to 40% of transactions by 2025 from 20% in 2016. Japan is a highly cash-dependent society with cash in circulation amounting to about 20% of Japan’s gross domestic product, by far the moat in the world, according to a Bank for International Settlements report. A report compiled in April 2018 by an industry ministry panel said that more cashless payments could help ease the country’s labor shortage and benefit foreign tourists, and that if current levels are maintained, it could cost the economy hundreds of billions of yen in the coming years. Until last year, banks in Japan have largely sat on the sidelines regarding digital payments while others developed digital and mobile payments services. But a law change, part of the government effort to reduce Japan’s high cash use, will make it easier for depositors to give third parties access to their accounts and data, and spur competition from fintech firms. 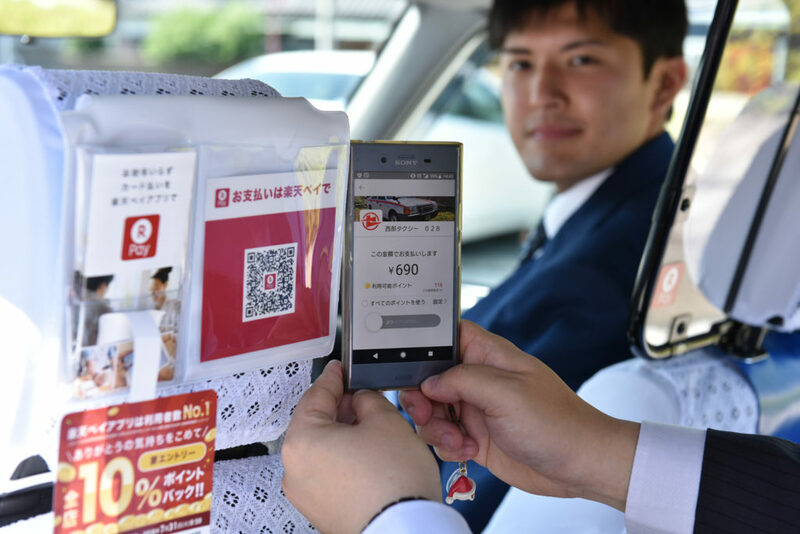 In response to the amendment, banks like Bank of Fukuoka, Yokohama Bank, and Resona Bank have come together to launch a QR code settlement system called Yoka Pay at Fukuoka Financial Group and Hama Pay at Yokohama. The system draws directly from customers’ accounts. Mizuho launched the Mizuho Wallet, a digital wallet based on Sony Corp.’s contactless FeliCa chip, in February 2018. The wallet is available for phones with Google’s Android operating system. The same month, mobile payments company Origami integrated with Ogaki Kyoritsu Bank, enabling Ogaki Kyoritsu customers to use Origami’s QR code app to make payments directly from deposit accounts. But Japanese banks are competing against local tech firms with much more established platforms. Rakuten Pay, the app-based smartphone payments system launched in 2016 by Rakuten, the largest e-commerce site in Japan, has managed to establish its position as one of the country’s top mobile payments solution. The Rakuten Pay app lets shoppers pay via QR codes scanned with a smartphone. The app takes advantage of Rakuten’s ID system in Japan, connecting to the Rakuten wcosystem: users need only to log in with their Rakuten ID and select a payment card. Shoppers can elect to pay using Rakuten Super Points instead of a credit card, and can even earn points back on purchases. Currently over 1.2 million locations are part of Rakuten’s payment network, from Rakuten Pay to Rakuten Edy, Rakuten Point Card and Rakuten Card affiliate stores. These include small merchants, convenience stores, department stores, pharmacies, cafes, restaurants, bars, fashion retailers, beauty salons, airports and even baseball stadium across Japan. Another major platform in Japan is Line Pay, the mobile payments business of Japan’s leading chat app Line. Line Pay had 40 million registered users as of November 2017 on the Line app, which had 165 million monthly active users as of September 2018 in its four major markets: Japan, Taiwan, Thailand, and Indonesia, making Line the largest communication platform in Asia. Introduced in 2014, Line Pay allows users-to-users to request and send money from users in their contact list and make mobile payments in store. The service has since expanded to allow other features such as offline wire transfers when making purchases and ATM transactions like depositing and withdrawing money. Besides domestic players, US tech firms Apple and Google have also entered the Japanese mobile payments market with their respective platforms Apple Pay and Google Pay. But competition for Japan’s mobile payments industry is heating up. In 2018, several new services hit the market and more are scheduled to launch this year. India’s One97 Communications-backed Paytm launched a QR code-based mobile payments settlement service in Japan in collaboration with SoftBank and Yahoo Japan Corporation. Paytm, which is backed by Alibaba’s Ant Financial, formed a joint venture called PayPay with the two companies earlier in 2018 to launch the service. MoneyTap is a blockchain-based mobile payments application that launched in Japan in October 2018. The MoneyTap system is powered by Ripple’s blockchain technology and allows users to make real-time domestic payments with instant settlement, and only requires a bank account, phone number, or QR code. MoneyTap is a product of the Japan Bank Consortium, a partnership effort between several major Japanese banks and SBI Ripple Asia. The Japan Bank Consortium comprises of 61 banks covering more than 80% of all banking assets in Japan. China’s tech giants Tencent, the operator of WeChat, the world’s largest standalone mobile apps by monthly active users with over 1 billion, and Alibaba, China’s e-commerce giant and one of the biggest companies in the world, are also entering the market. Tencent announced a partnership with Line in November 2018 to offer mobile payment services for small Japanese retailers looking to capitalize on the recent influx of Chinese tourists. The service is scheduled to start this year. 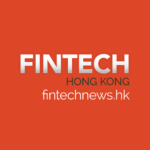 The move followed Ant Financial’s partnership announcement with Yahoo Japan and regional banks in Japan to promote its Alipay payment platform, which allows mobile phone users to pay by scanning QR codes. Featured image: Rakuten Pay via Rakuten Today.